The contestants: Audacity's built-in compressor, Chris's Dynamic Compressor, C3 Multiband Compressor, and Levelator. I was personally surprised by the winner. Thanks to Alex for originally asking the question about the differences between compressors. No settings. 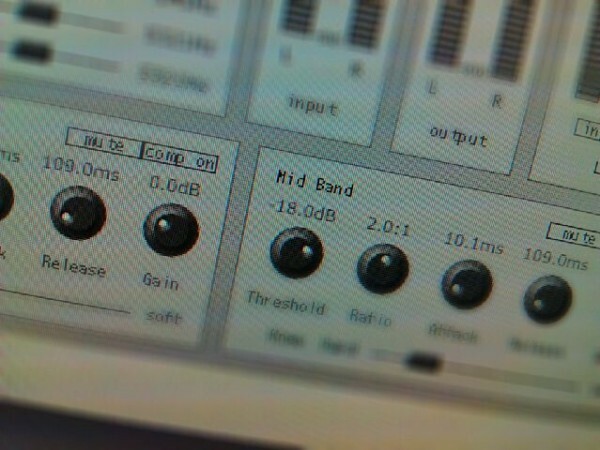 Just drag and drop a WAV or AIFF file. Please check out each of the podcasts below. Huge thanks for their contributions to this test! Recorded with a Shure SM58 to Behringer Tube Ultragain MIC100 to XLR/3.5mm mic jack into Audacity. Recorded with an iPhone 4 using iTalk app. Recorded with an Audio-Technica AT2020 Cardioid Condenser Mic into a Tascam DR-05 external digital recorder. Host recorded with a PR40, Skype cohosts on various mics, through a mixer and into a digital audio recorder. ElectroVoice EV-20 through a Mackie ProFX12 mixer with a Behringer MDX4600 compressor/limiter/gate (this is why my tests weren't as effective), into a Roland R-05. Straight into a Roland R-05. Condensor mic straight into Audacity. Audacity's built-in compressor uses standard terms, but it's not very effective. Chris's Dynamic compressor does a great job with voices and gives easy control. But it's best run on audio with little or no background noise. 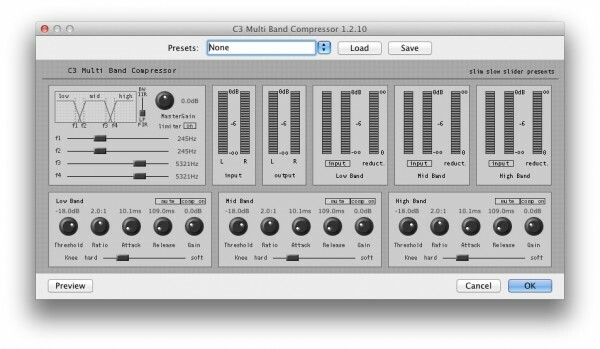 C3 Multiband Compressor does a great job, but frequently misses a peak, which throws off normalization (a required extra step). 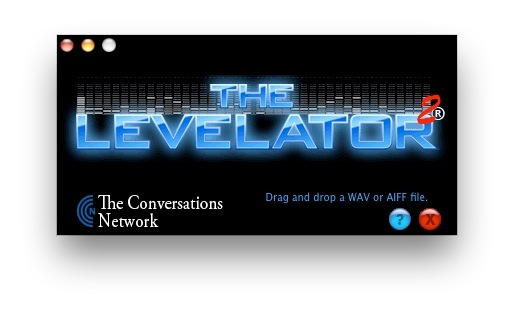 Surprisingly, Levelator did a consistently fantastic job on the audio and handled background noise well. It gives no controls and may add an extra step if you don't record into WAV or AIFF. But it's easy (albeit slow) and very effective. Hi Daniel and thanks so much for his awesome episode. I will need to listen to it a number of times to get the full benefit! It was great to hear you working in depth on my little bit of audio- and to hear that you encountered the same problems as I do! So it’s not just me being rubbish at editing. There’s so much useful information in this episode and I hope it helps others as much as it will help me! You’re welcome, Kevin! I was honestly surprised at the outcome because I used to dislike Levelator. Great – nice bit of cross-promotion there! Thanks once again! Excellent episode! So, what we have learned is don’t record noise. I am a live music sound engineer, with some studio recording experience, hoping to become a podcaster. 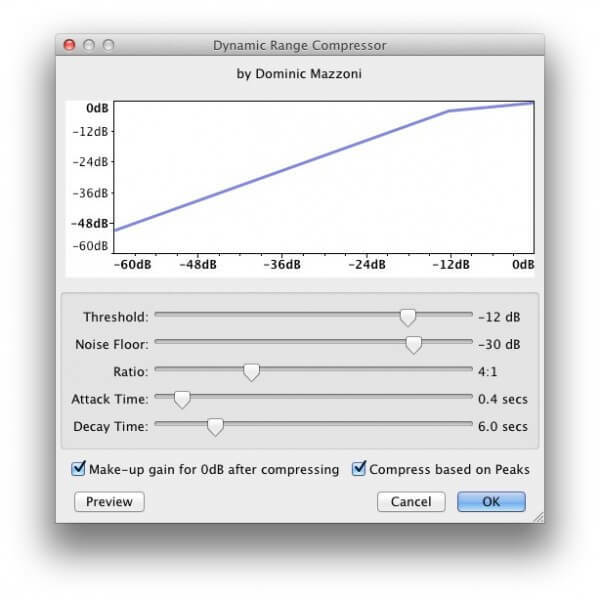 It seems that many podcasters think of compression as a magic fix for bad recording. It’s not. Compression is a tool to even out the dynamics a little bit of specific sound sources to allow the engineer to increase the level of that sound source without it getting in the way of the rest of the instruments in the mix. A good example of this would be a loud bass guitar in a loud rock band. Ideally, you would like to have a lot of bass in the mix, really, as much as possible without overpowering the rest of the band. The problem is that bass guitar has a lot of low & low-mid frequencies that can really interfere with the rest of the mix, and the bass guitar can be very quiet at times, and really loud at times. Using compression, an engineer can amplify the quiet notes and quiet down the loud ones (often referred to “squashing”). If done carefully, you can maintain a natural sound and feel, but gain the ability to increase the overall level in the mix. Now, when you apply this tool to a single spoken word source, where there isn’t a lot of other sound sources to blend it in with, you amplify the quiet and cut the loud parts. If you have a lot of noise in your recording, compression will usually amplify it, and with no other sounds or instruments to blend with, it actually becomes more obvious. Levelator appears to be doing something to remove background noise, then compressing, and then amplifying. The bottom line is this, don’t record noise. In all of the recording examples you used here, one of the following three things could have been done during the recording process. 1) Eliminate the machine sounds that come with recording into computers by using a quality USB audio card or recording to an external recorder. 3) Use a decent dynamic microphone. I don’t know how many podcasts I hear where the condenser mic is picking up the fans of a noisy computer, and the typing on a keyboard, not to mention the echo in the room. Compression is a tool, and can really sweeten or polish your sound, but it shouldn’t be thought of as a way to fix it. The one thing I would add is get closer to the mic. Podcasters tend to like to keep their distance, but also because they’re probably used to a mic with its gain all the way up. This was a very practical episode. I’m still wondering, though — is it overkill for me to use my compressor/limiter/gate AND Chris’s dynamic compressor? I don’t think it’s overkill. I still do it. In fact, as you probably heard by now in episode 66, I’ve gone back to using Chris’s Dynamic Compressor for my recordings because it still does a better job on audio recorded without much noise, especially noise-gated audio. Thank you, this promises to be a great episode (haven’t had time to listen it yet, but it’s in my downloaded folder :-)). Thanks for putting in the effort for producing this episode! 1. Just say something before and after beginning your podcast. I Suggest you countdown like 3, 2, 1, then pause for at list a second. at the end, pause before starting coutdown. 2. 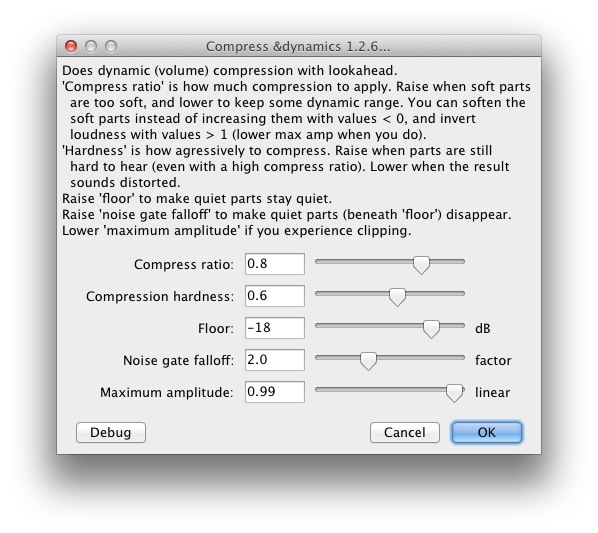 Apply Chris’s Dynamic compressor with the settings of your choice. 3. Cut the audio before and end of your podcast.